As the holidays draw closer by the day, my kids are counting down. But there's still time to snag one of these sweet sets at Toys R US. 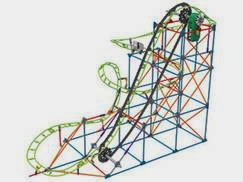 If your budding engineer loves roller coasters, this awesome K'NEX kit is sure to be a hit! It'll give your kids hours of boredom busting build time and a rest from the screen time. Check it out! Here at ChiIL Mama we dig roller coasters and every year we're invited to Great America for their press sneak peeks at the hot new twists on their coasters. We were among the first to check out X Flight and ride Batman BACKWARDS. CLICK HERE to check out some of our original video interviews, footage and coaster coverage. For the moment, the midwest is in the deep freeze and it's too cold for coaster fun. So we'll be chiILin at home and building cool coasters with our K'NEX till spring. My kids have a blast building K'NEX kits together. Check it out! 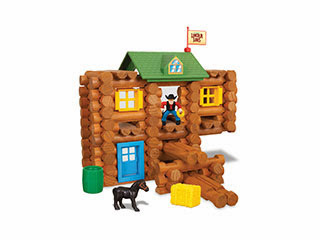 This year we've been chosen to review numerous new K'NEX kits & Classic Lincoln Logs for the holidays, with Toys R Us Moms, and they'll all be up this week along with a giveaway for YOU! Check out all our ChiIL Reviews for great gift ideas and enter to win. Which one will it be? Read up and see!